“I have been taking Serrapeptase since April, and as a typical Yorkshire girl I will use them before ordering anything else. So far I have found that taking these tablets has stopped my ankles from swelling, and I have started to feel more energetic than I have done for months. “I’ve been taking Serrapeptase 3 x 3 daily for nearly two weeks now and I’m sure that most of the swelling from the arthritis has gone!!! I also started on Magnesium Oil Saturday afternoon – I use the spray 2-3 times a day. Last year (or early this year) I had a bone density scan and it came back with “good” levels, so the mention of ‘mildly osteopenic’ threw me a bit! I’m hoping the Serrapeptase and Magnesium oil will make a much more significant difference. “I’ve been purchasing Serra Enzyme for over a year now, taking one cap a day for gout and arthritis. It works for me. I’m also taking curcumin and applying your oxygenated olive oil for my psoriasis which flared up this winter. My sister in law is in remission from breast cancer and was suffering unbearable pain after having a mastectomy more than two years ago. 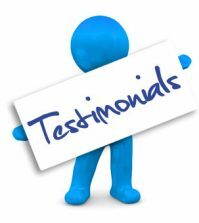 I recommended the supplement to her two months ago and in one month her pain had reduced in scale from 10 down to 3. The pain has even been reduced in her spine. I also have a friend with severe ankylosing spondylitis who had lost his zest to live. However, after taking serrapeptase for less than two weeks, the symptoms went away and to date, all his pain has gone. “Querido Robert, gracias por los consejos de salud. He estado tomando Serrapeptase para mi artritis todos los días y parece que estoy mejorando”.